A security adviser to an Australian prime minister said he warned a Chinese-Australian writer not to travel to China before the blogger and critic of China's Communist Party was detained on arrival at a Chinese airport in January. 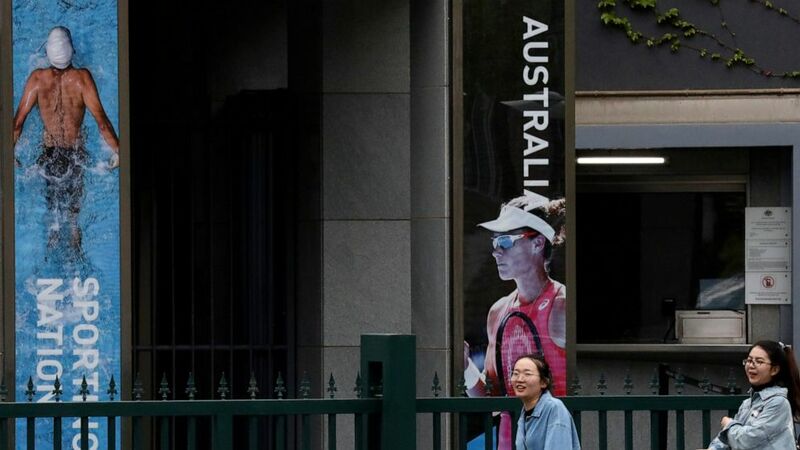 Garnaut told Australian Broadcasting Corp. in an interview broadcast on Monday that he advised spy novelist and friend Yang Hengjun not to travel to China after Yang revealed he had been questioned by a Chinese government official in Sydney in 2018 about Garnaut's investigation. "He was asked about me, what was the nature of our relationship, what was I doing. What was I working on," Garnaut said. Yang, a 53-year-old visiting scholar at Columbia University in New York and a former Chinese diplomat, did not take Garnaut's advice and flew to China with his wife, Xiaoliang Yuan, and his 14-year-old stepdaughter. Yuan said she had not seen her husband since they were separated by Chinese officials when they landed at Guangzhou Airport on Jan. 19. Foreign ministry spokeswoman Hua Chunying said in January that Yang was "suspected of engaging in criminal activities endangering China's national security." He is being held in Beijing, where the Australian Embassy has been allowed consular access to him. ABC reported that Yang had yet to be formally charged. Yuan is living in Shanghai. She said she is not allowed to leave China and her husband has not seen a lawyer. "I have absolutely no idea whether he is well or even if he is alive or not," she said through an interpreter. "It gets harder as time passes, mainly because I can't see him. I would have felt better if the lawyers could see him and verify that he is all right," she added. Feng told ABC that he had been questioned for an entire day in detention about Garnaut's investigation. Feng said his interrogators had known Garnaut was working for the prime minister. "They knew a lot about him. During the interrogation, they did not hide that they were angry with him," Feng said. "As for activities carried out by Chinese embassies and consulates in other countries, these activities aim at promoting mutual understanding between China and the regions or countries where the diplomatic mission are based, and enhancing mutual understanding and friendship among the people, including serving as the bridge of cooperation between the business community of each other," Lu said. "I did not see any difference between the activities carried out by Chinese embassies and consulates in other countries and those conducted by foreign diplomatic missions in China," he added.